Social media has always been a key platform for generating sales. It puts your products in front of consumers, increases your brand awareness and more importantly, it makes your business a point of conversation. Now more than ever, it’s a bigger sales platform thanks to only a few clicks bridging the gap between you and your purchase. Some brands are embracing it, yet some have yet to employ this style of shopping. 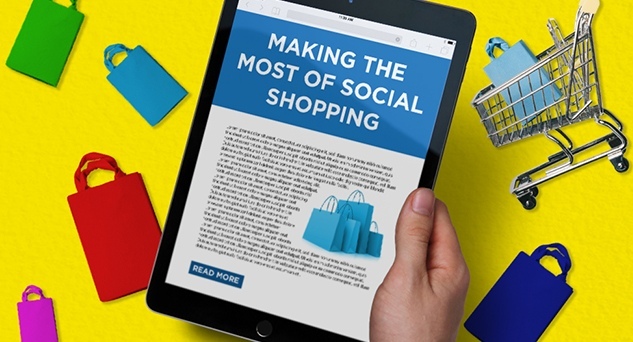 The term social shoppers is being used more frequently with individuals visiting social media to inspire their purchasing decisions, and the idea of browsing is simply a case of scrolling down for more. To ensure they don’t miss out on the vital opportunity to engage with customers, businesses are challenged with having to be more creative. This includes on-site content, not just promoting products for sake of promoting. They need to engage and interact with consumer interests. Whether it’s responding to a recent event, partnering with relevant companies or collaborating with key influencers. On Facebook, Carousel ads and boosted posts are a popular way to target specific customers. Action buttons on these posts can be included such as ‘Shop Now’, ‘Install’ and ‘Learn more’ to incentivise consumers into going that one step further, interacting and finding out more. Messenger apps such as Facebook are also riding the wave. This adds a more direct and personalised touch to reaching out to customers. Not to mention consumers are more likely open these rather than a generic sales email. Instagram have also made it easier for customers to make purchases with the newly launched Instagram tag. 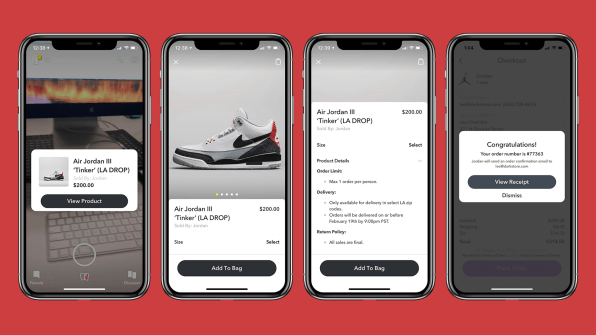 The introduction of a small shopping bag icon makes the customer journey even easier by offering a direct link instantly to the product page, making it much faster than having to research and go click outside the app. Brands that are using this features have benefitted with Instagram traffic increasing by 1,416%. Snapchat are letting businesses create their own selfie lens to promote. Some of which have a button directing users to the retailer’s online store. The lenses are said to be played around with over 70 million users each day on the app. Nike’s campaign earlier this year proved how successful partnering with Snapchat was. They pre-released their Air Jordan trainers, which were sold out within 23 minutes. Users were able to scan a barcode and instantly buy them within the app.